Design, Detail & Engineering, Manufacturing, Supply & Exporter of Pressure Reducing de Super-heating Station & Pressure Reducing Station. Our goodwill in this industry can profoundly be attributed to our range of Pressure Reducing Station. The offered range of Pressure Reducing Station is manufactured by our team of professed engineers with utmost care. 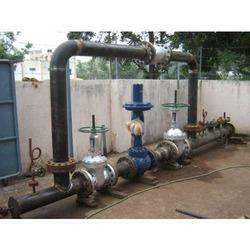 Our Pressure Reducing Station is best in quality & demanded in the market. Our Pressure Reducing Station can be customized in variety of options in order to meet the ever-evolving necessities of our valuable clients across markets of the country. Pressure Reducing Valve offeredprovides for stable support in successfully meeting the demands of controlling/limiting pressure in system/vessel against subjection to internal vacuum/low pressure. 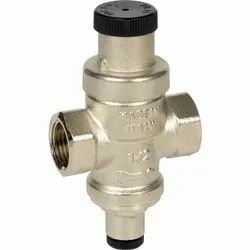 Here, the valves work by opening at predetermined low pressure limit and allowing inflow of air/gas into equipment for controlling the amount of vacuum. Some of its features include supports the protection needs of tanks from overpressure/excessive vacuum, choice of aluminum, stainless steel, carbon steel and other material finishes, offering flexible and reliable usage, provides for optimum resistance from corrosion and aging among others.